Catheters are notoriously difficult for hospitals to store and retrieve. Their shape and size make them difficult to organize, and nurses waste valuable time sorting through stashes of catheters trying to find one with the right length. 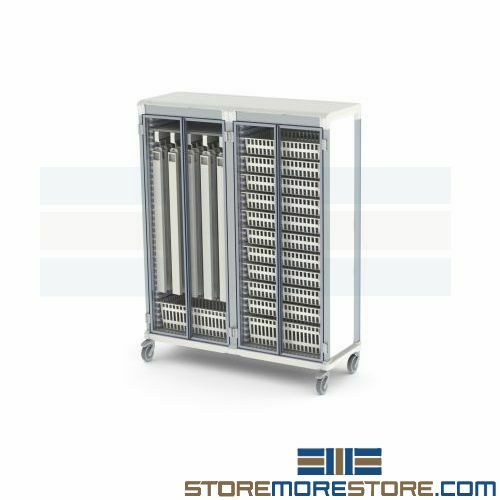 Medical catheter carts help solve this storage issue with retractable holders that keep catheters stored neatly with easy access. The mobile carts provide quick and safe transport at a moment’s notice. Roll-down doors provide additional security to keep catheters in place during transport. The lockable doors don’t require extra space to open and close since they slide up and down, making them great for areas with limited space. Other options with baskets, trays, or a combination of features are also available. 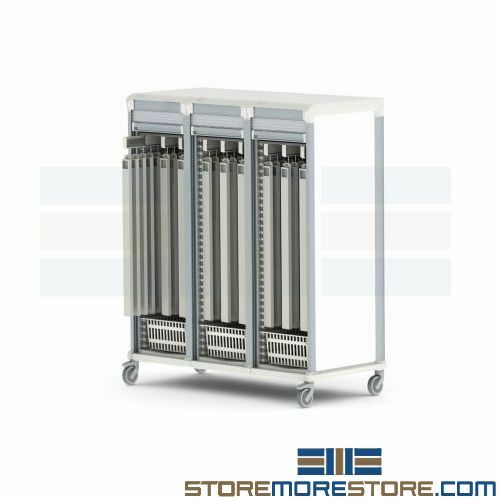 Medical catheter carts are available to buy online and ship within 8-9 weeks with free dock-to-dock shipping included. If you need any assistance or just want some help picking the right solution for you, please call us at 1-855-786-7667.